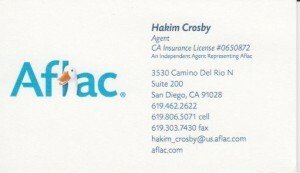 An independent Agent Representing Aflac in San Diego County, California. 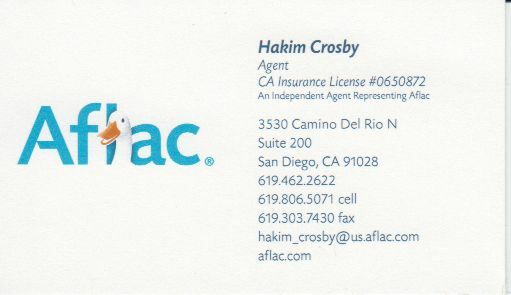 More than 50 million people worldwide have chosen Aflac insurance because of the confidence they get from knowing they will have financial assistance when an illness or serious accident occurs. Now that’s something to quack about!